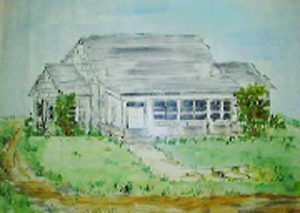 The library that all the citizens of Calhoun County enjoy today as a county-provided public service was started back in 1940 by the Port Lavaca Women’s Study Club. Beginning with just a few volumes, the library has grown to an impressive collection of thousands of books, magazines, audio and video tapes. It was also destined to wander from place to place for over twenty years before finding its current home in 1991. The first home for the library was a bay-front building known as Community Hall. The Women’s Study Club project was just getting underway when the building became the USO center during World War II. The library then moved to a room above the First State Bank building at the corner of Main and Colorado Streets for the next year of existence. The third home for the library was the old City Hall building on Colorado Street. Whenever the City Hall moved to a different location, so did the library. About this time the Women’s Study Club proposed an organization devoted to establishing and maintaining the library. For several years after 1957, the newly-formed Calhoun County Library Association maintained the facility. During this same time, the idea of having a county-owned library was taking shape. Many public libraries were being formed throughout Texas and Calhoun County did not want to be left out. The Commissioners Court was looking into converting the County Jail into a suitable location for the library while the new courthouse was under construction. Meanwhile, the library had moved again, this time to a room in Calhoun High School. In early 1958 the library was close to finding a permanent home when it moved into a county-owned residence on South Benavides Street while the old County Jail was being refurbished. Late in 1958, the library moved into the old County Jail. Three years later, in 1961, the Commissioners Court approved a plan to add 2,373 square feet to the old county jail building — and the library finally had a place of its own! As time went by, and the library grew, the decision was made to expand even larger. On March 26, 1972 another addition of 2,352 square feet was completed and dedicated. This was done at a total cost of $49,000. The county passed an ordinance in 1963 establishing a twelve-member advisory board. The library board operates with tax funds approved by the County Commissioners Court. Beginning in the mid 80’s library officials became acutely aware of the cramped conditions of the library. The library board then began a study of possible expansion alternatives in 1987. 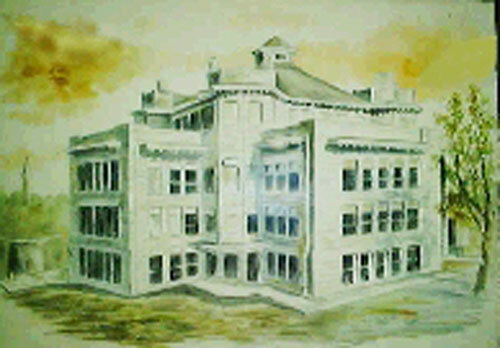 In July 1988, a proposed expansion plan was adopted by the board and recommended to the County Commissioners. Through efforts of the ‘Friends Of The Library’ organization, Calhoun County obtained a grant from the State of Texas for new library construction in 1988. This $200,000 grant was matched by Calhoun County. In December 1989, the Commissioners Court approved plans and a construction contract was entered into with Rexco Inc. of Port Lavaca to begin the new facility. Reitzer-Cruz of San Antonio, under the direction of Joel Reitzer, served as architects on the project. The 13,500 square foot building project was overseen by a building committee consisting of: Oscar Hahn, Dan Rollins, Charlie Zirkelback, Margaret Escalante, Jodi Weaver, and Stanley Mikula. The entire facility cost $867,000 and costs were divided into thirds between grants and industry, Calhoun County, and private donations. The library joined the Texas State Library System and is a current member of the South Texas Library System, headquartered in Corpus Christi, Texas. As a member of the state library system, the library receives supplementary services and materials and is therefore able to provide a much wider range of services to its local users. The library facilities of Calhoun County have come a long way since the ladies of the Women’s Study Club first began this project in the 1940’s. — but the one thing that has remained constant is the dedication and hard work by individual citizens to help provide the residents of Calhoun County with this beautiful public facility.